This week in our non-napper class, the students enjoyed learning about the rainforest biome of North America. To take a closer look, they explored the flora and fauna of the Costa Rican rainforest. Did you know the rainforest has four layers and it is home to more than half of the world's species of plant and animal life? 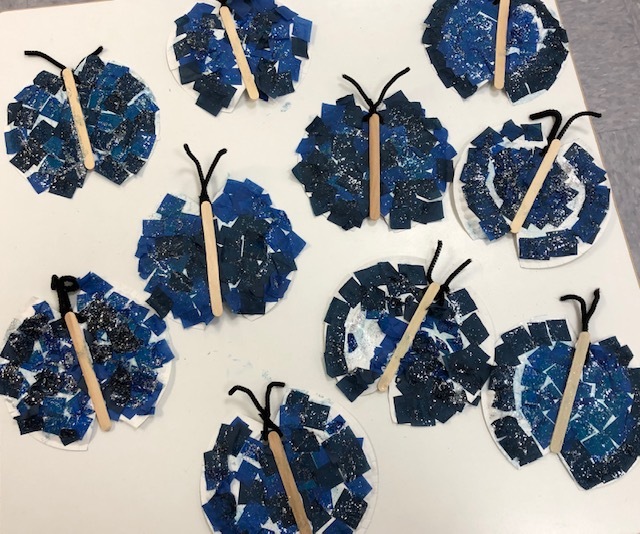 The Primary 1 students had fun making their Morpho Butterfly craft with different materials such as paper plates, pipe cleaners, craft sticks and tissue paper.